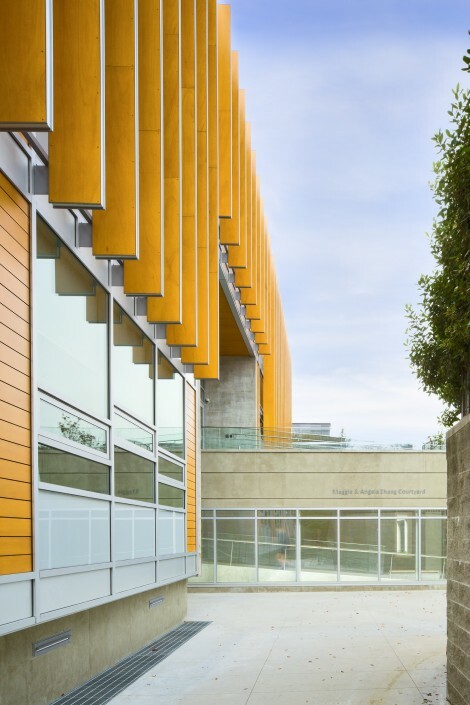 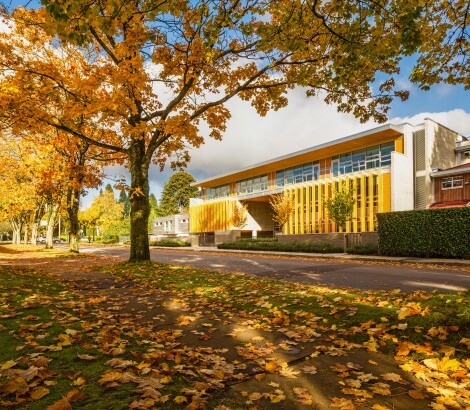 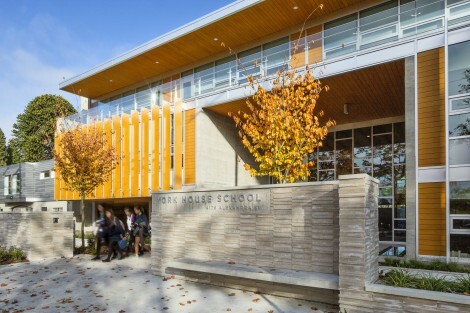 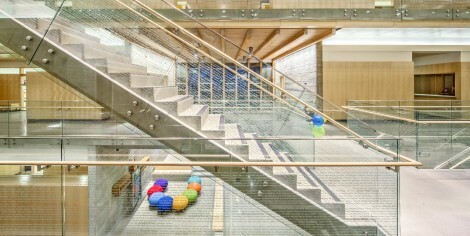 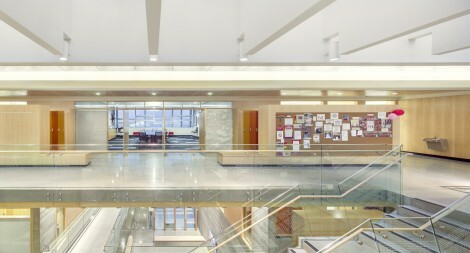 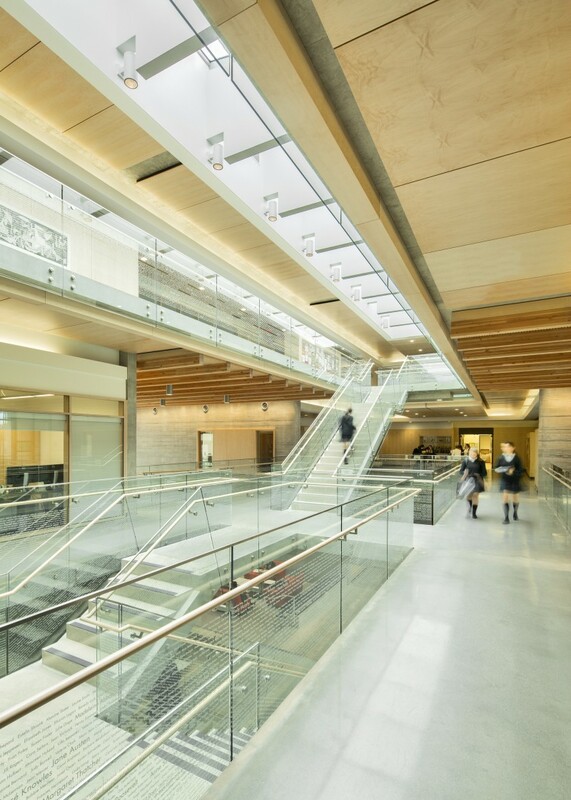 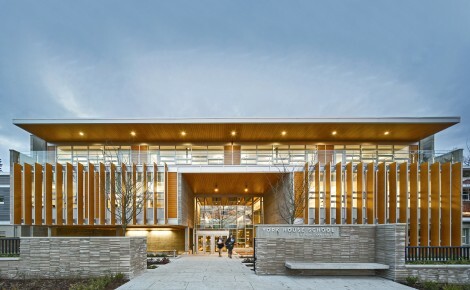 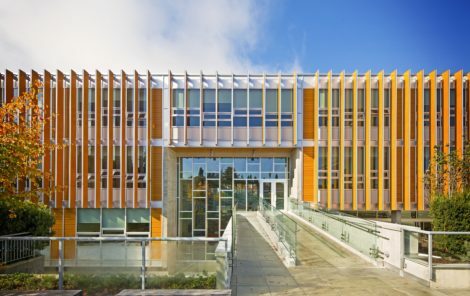 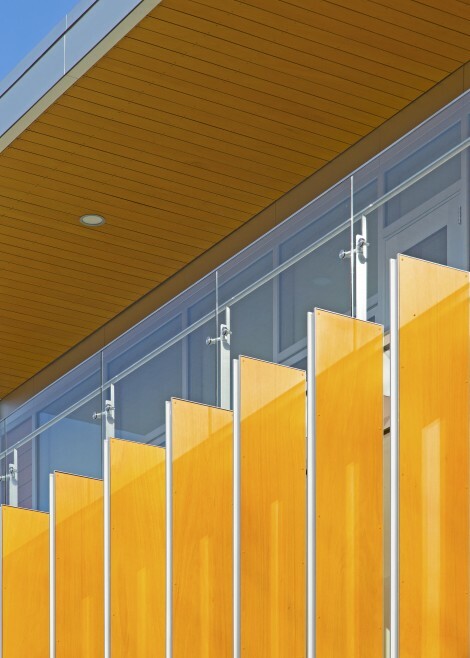 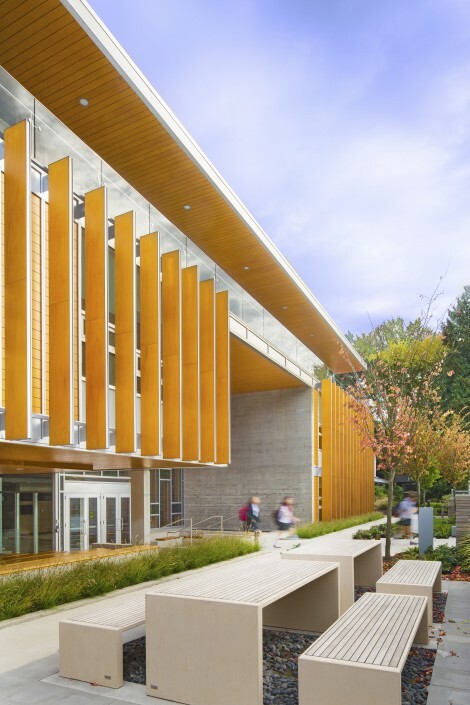 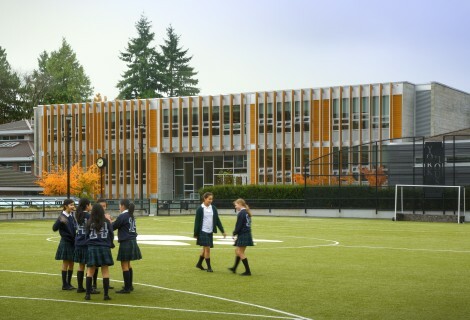 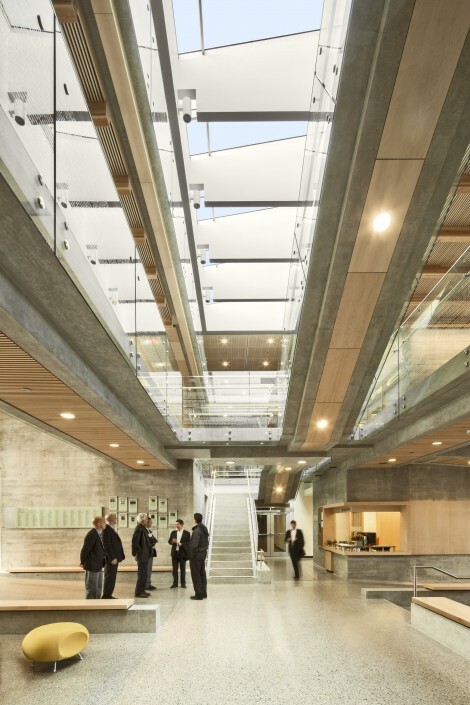 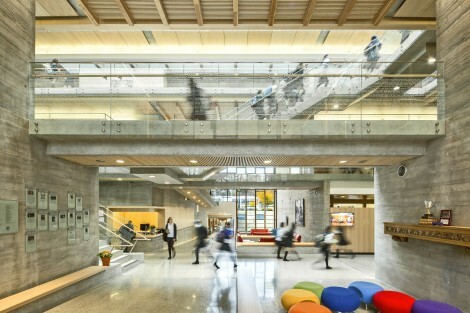 Completed in 2013, the 3,350 square metre York House Senior School is located in the heart of Vancouver’s Shaughnessy neighbourhood. 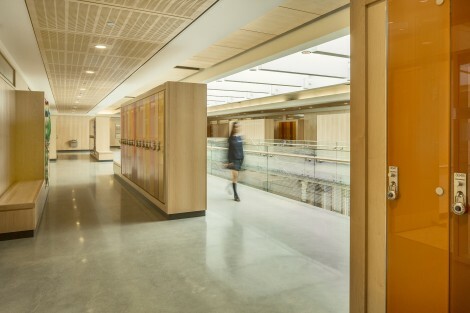 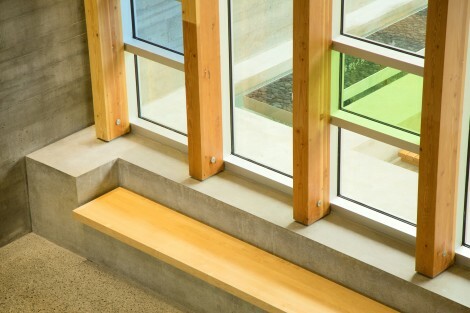 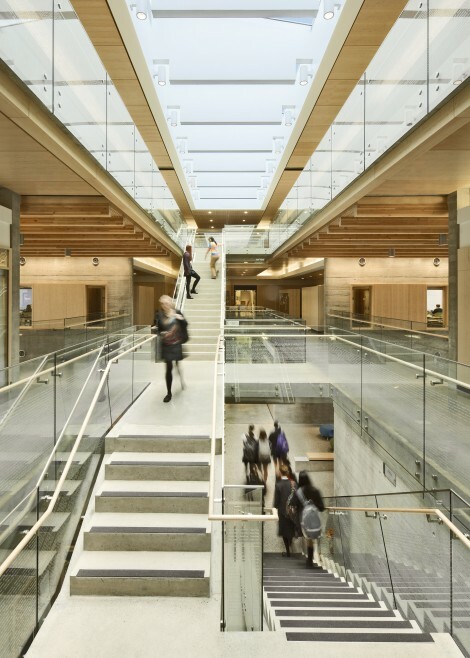 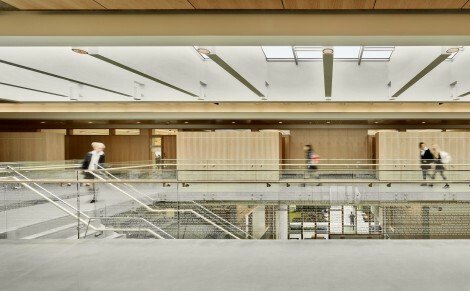 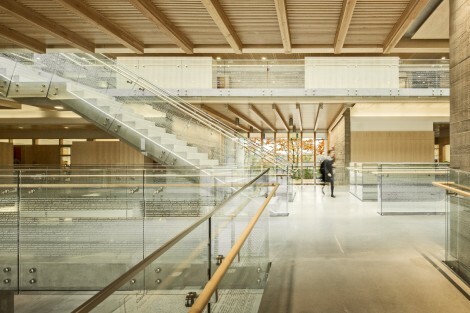 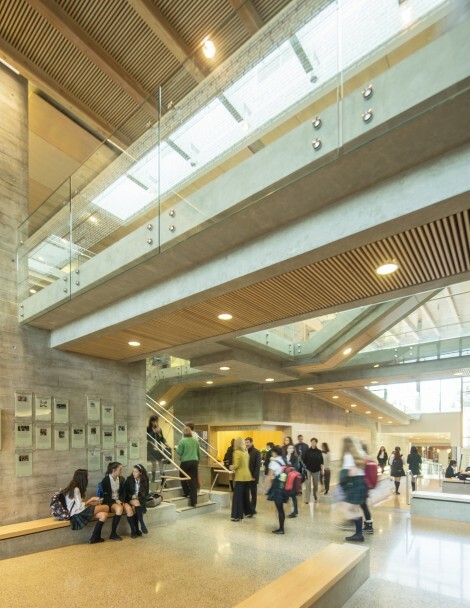 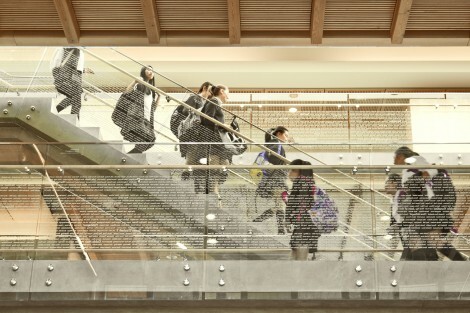 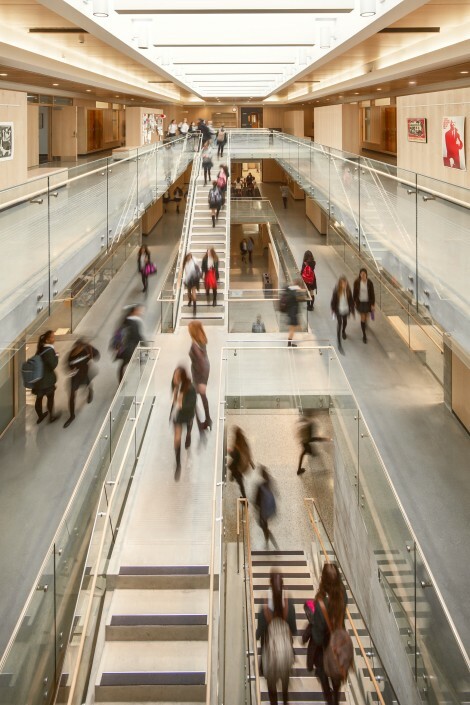 The new senior school provides a strong presence and symbolic entry point to the greater York House campus through a soaring glazed portal and skylit circulation crossroads atrium that connects the north, south and east wings of the existing school. 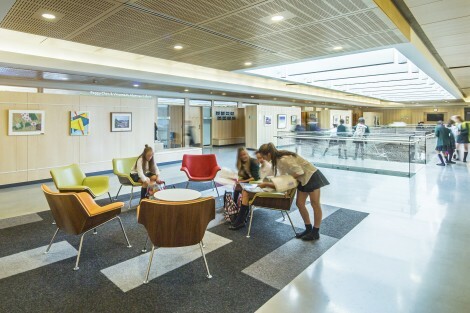 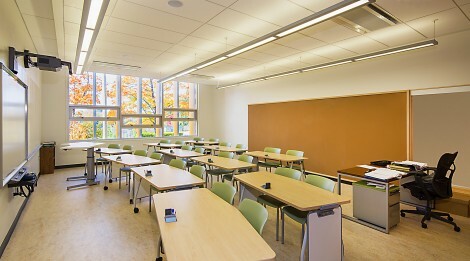 The senior school includes classrooms, administrative, service spaces and social and study areas spread throughout the facility. 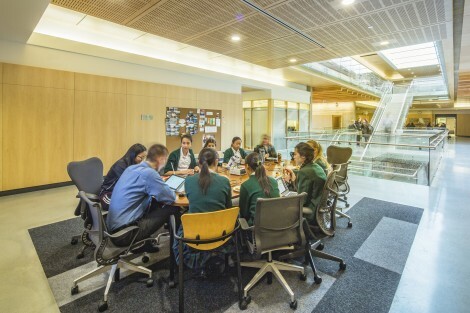 The innovative state-of-the-art learning and teaching spaces are adaptable and flexible with spaces and places for informal student and teacher interaction. 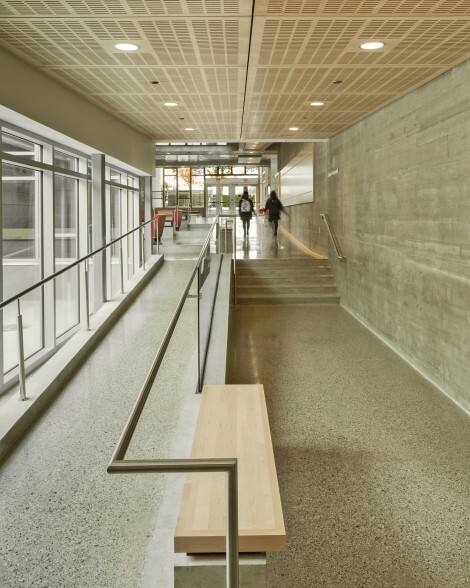 Drawing on the rich history of West Coast Modernism, finishes include textured concrete, wood, glass and limestone. 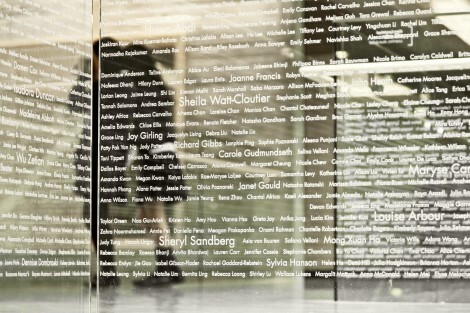 A donor recognition program features the names of thousands of famous women, selected by the students, that are screen-printed onto glass guards throughout the central atrium crossroads.